shows more of a contrast for example; transitioning from a dark brown into a honey blonde. Transition is thee most important aspect of the ombré, to me at least. Ombrés should always have a soft fade/blend between the colors, no one likes to see harsh lines in hair color, not cute! To balayage is to paint or sweep the color/ lightener, free-hand onto the hair in specific areas you want to see a pop of color. This technique gives a very lived in, dimensional look, my favorite hair trend, by far! Since neither of these techniques require coloring all the way to the root, they call for very little maintenance making both perfect for the college student or busy mom. Because you don’t have to get touch ups very often, as a stylist, I have to ensure it will grow out & stay looking beautiful, which means a few things. Making sure there is a seamless blend takes some time, going section by section can be very tedious & you will most likely have to sit in the chair for a few hours. Because the appointment is a long one, you can expect the service to cost more than your average highlight, but in reality you’re not getting a touch up every 5 weeks so you’re saving money & just refreshing your color when you’re ready! 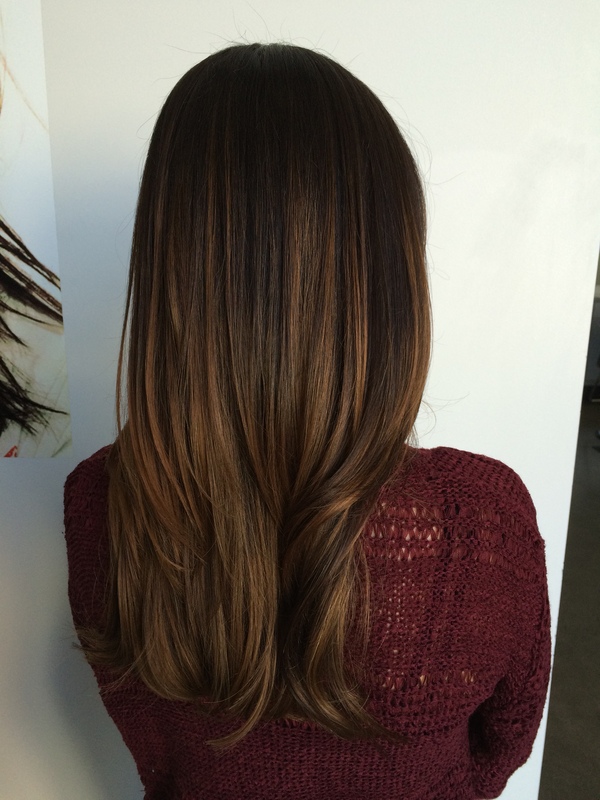 The color possibilities with ombré & balayage are endless.